Is your pool table level? There is nothing more frustrating than trying to play billiards or pool on a table that isn’t level. 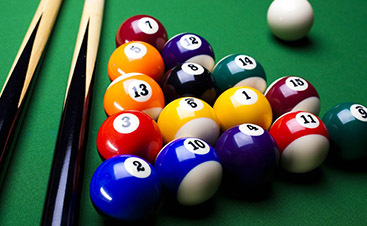 At Vitale Billiards, we know pool and billiard tables inside and out. If your table is not level, we have the know-how to fix it. 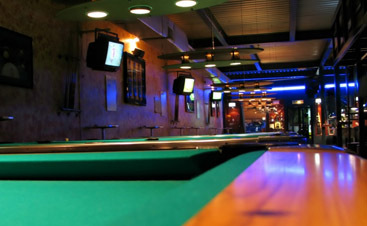 We are the premier team for pool table assembly and repair in Colorado and Wyoming. In our last blog, we discussed ways you can investigate your table and see if it truly is uneven. If the methods in our last blog do not deliver firm results, you can try the tactics we will share here. This one may seem obvious, but it a great way to discover exactly what is going on with your table if you don’t have a level. 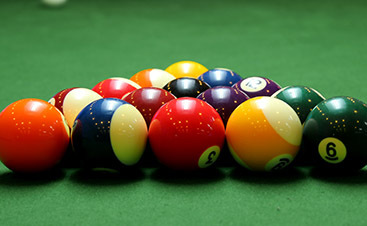 Roll a cue ball as straight as possible over one section of the table and keep an eye on it. If the ball moves toward one side of the table, your table is uneven. The ball will show what is going on. Like using a ball, if you do not have a level, this can be a great way to figure out what is going on with your table. Place a plate of glass in the center of the table. Put the marble on the glass and see which if it rolls and if so, which direction. This will indicate the part of your table that is too low or too high. Once you find out what is going on with your table, it is time to give us a call. We are proud to serve Colorado and Wyoming with our extensive skill and experience with all types of billiard and pool tables. Whether your table is a family heirloom or the favorite attraction of your bar, you can keep it looking like new with Vitale Billiards. Contact us today to learn more!